For boring and sizing on solid wood, chipboard and fibre materials (MDF – HDF). Manufactured with micrograin solid carbide. 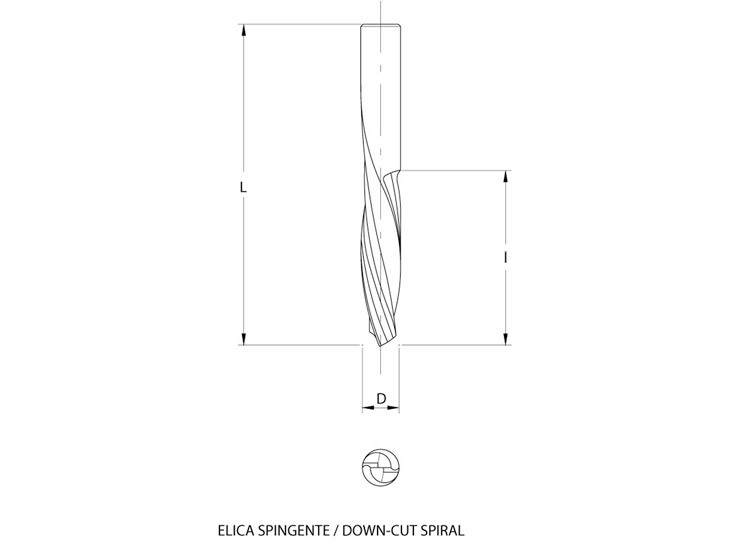 With 2 negative spiral cutting edges for an excellent finishing on the top of the workpiece. Chip evacuation towards the bottom. Down-cut spiral Dx/Rh Z=2.